TEL AVIV – The IDF has been put on high alert after Iran threatened to retaliate for the airstrike in Syria attributed to Israel that killed at least 14 people, including seven Iranians. 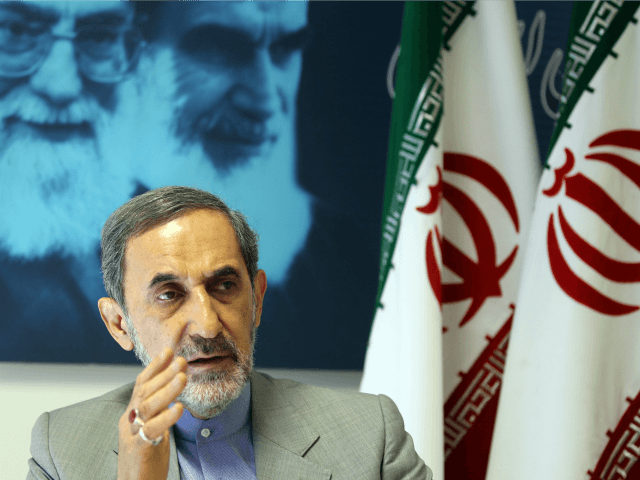 Ali Akbar Velayati, a senior adviser to Iran’s Supreme Leader Ali Khamenei, called it “Israel’s crime” and said it would “not remain without response,” the Lebanese Al-Mayadeen channel reported. Russia, Syria and the U.S. all said Israel carried out the strike on the T-4 airbase near Palmyra. Jerusalem has not confirmed the charge. According to an Israeli news report Tuesday, the airstrike was carried out on an airbase that Iran was constructing. In comments that appeared to refer to the strike, Prime Minister Benjamin Netanyahu said Monday that the Jewish state will retaliate against anyone harboring aspirations to harm his country. “We have one clear and simple rule and we seek to express it constantly: if someone tries to attack you – rise up and attack him,” he said. “Security in the present is a necessary condition for security in the future and what we have here today is a powerful expression for our future security,” Netanyahu added. The Jewish state has conducted several strikes over the border but Russia has until now remained silent. The U.S. and France denied any involvement despite statements from both countries condemning the Assad regime after Saturday’s chemical weapons attack in Douma. Moscow said it had not been informed of the strike in advance, which was a major “cause for concern” since Russian personnel could have been present at the Tiyas air base when it was attacked, a spokesman for Russian President Vladimir Putin said. “This is a very dangerous development. I hope at least that the U.S. military and those of the countries participating in the coalition led by the United States understand that,” Russian Foreign Minister Sergey Lavrov said Monday. On at least two occasions in the past, Israel has targeted the air base — also known as T-4 — claiming it housed an Iranian drone program. Of the 14 killed in Monday’s strike, four were listed as Iranian nationals. Iranian regime-affiliated media identified one of the fatalities as a senior officer in the country’s UAV program. A separate report from the Tasnim news agency on Tuesday said that seven of those killed were Iranian nationals, and named one as a colonel in the air force of the Islamic Revolutionary Guard Corps. The Britain-based Syrian Observatory for Human Rights said most of the 14 killed were either Iranians or members of Iran-backed groups. Russia’s defense ministry charged Israel with using two F-15 planes and launching eight missiles from Lebanese airspace, five of which were intercepted. Moscow noted that no Russians were injured in the strike. While not directly confirming the reports, Public Security Minister Gilad Erdan seemed to address the strike in comments to the Knesset. “I won’t comment on the security matter being attributed to us, but the fact that this morning they are attributing to us what they are attributing to us shows the independence of Israel in every way. The State of Israel presents an object of admiration for the entire world,” Erdan said.